OPEL ASTRA PETROL Chevrolet isn’t just a car in India. It’s a name that evokes memories of the dawn of automobiles in the country. Chevrolet first came to India between 1918 and 1928. The fuel efficient and simple to run small four-cylinder Tourers were the first to be driven on Indian roads. The Nawabs of Hyderabad – the quintessential rich class of the time made the Tourer their official cars. Chevrolet along with its parent company General Motors became the first automobile company to open an assembly plant in India in 1928. The first assembly plant was set up in Sewree with a main office in Bombay. In 1930, the Indian market became even more competitive with Ford stepping up its sales in India. Chevrolet countered that with the revolutionary six-cylinder engine that gave 46 horsepower. This car gave Chevrolet their highest sales in India in 1931. After a brief break from the Indian market, Chevrolet came back and has become the country’s premium automobile brand. Constantly developing new cars to satisfy its Indian customers, Chevrolet has cemented its place firmly in Indian culture. So to satisfy the need of this mean machine you need nothing but the best car battery which you can easily get from Moxikart.com. 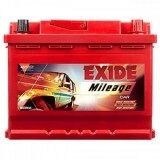 We deal with the most popular brand of car batteries online from brands like Amaron, Exide, and SF Sonic etc with the guarantee of 100 % originality and 7 days full money back return features. 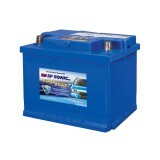 We do free home delivery and even free installation of the battery.